CDJR and Used Car Dealer in Superior | Superior Chrysler Center " "
To complement our stellar collection of products, each chosen for its unique ability to match different peoples’ driving styles, lifestyles, wants and needs is an expansive certified Chrysler, Dodge, Jeep and RAM parts store, and state-of-the art car service center dedicated to keeping your car young at heart until the day you decide to retire it. And, of course, we wouldn’t be complete without our savvy, in-house team of car loan and Chrysler, Dodge, Jeep and RAM lease specialists. More than just being good with numbers, they’re good with people; which makes for a zero-stress auto financing experience. We think you’ll agree, that’s pretty hard to find. 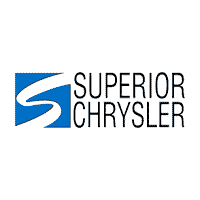 Interested in learning more about Superior Chrysler Center and our commitment to putting you first? Please, give us a call or swing by our showroom at 1318 Ogden Ave, Superior, Wisconsin. We’re happy to answer any questions you might have and hope to have the opportunity to meet you soon.